It is a very modern, first-rate hotel. I've had the opportunity to stay at many all-inclusive resorts but none like this. 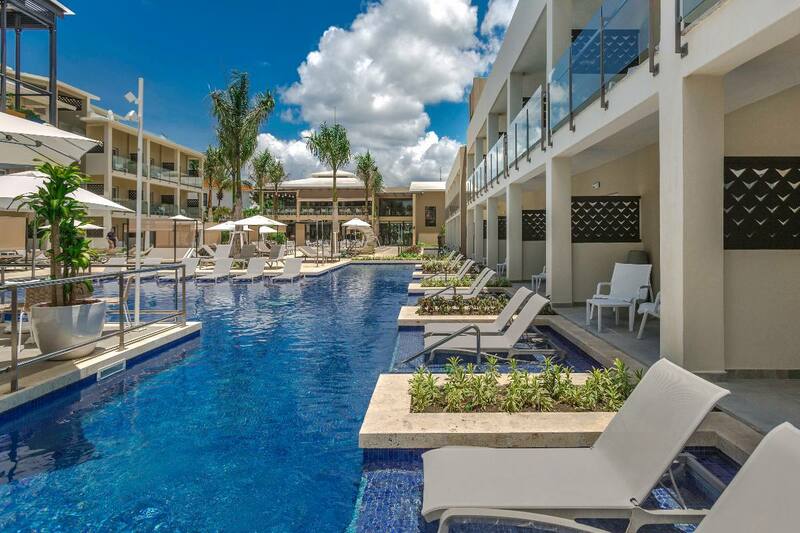 At the Catalonia Royal La Romana hotel enjoy the real Caribbean with an all-inclusive stay at an exclusive five-star resort just for adults. 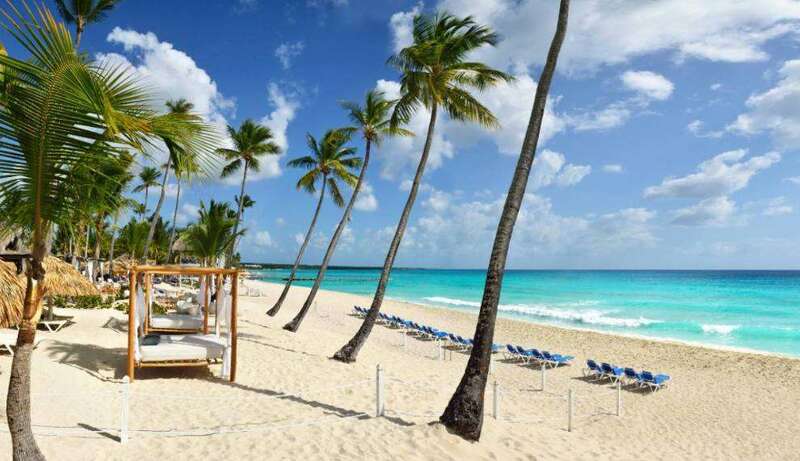 Located on one of the beaches in the small and wonderful town of Bayahibe. 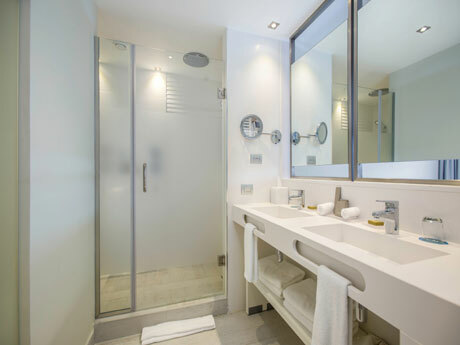 Its small details make your stay great and your personalized service makes you feel in heaven. 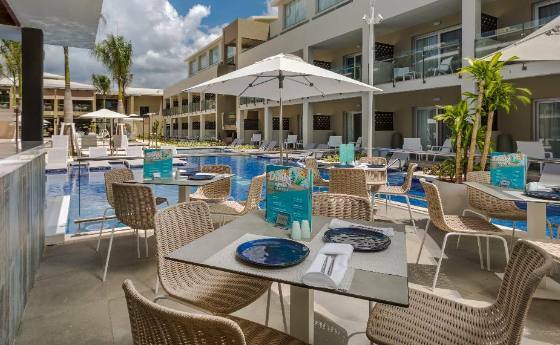 Live a unique experience and don't worry about anything, ¡We take care of you! 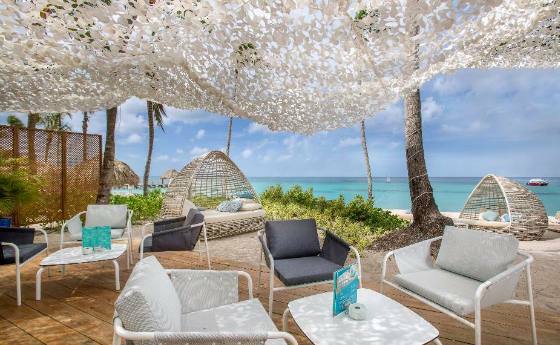 Immerse yourself in the pleasure of travelling to the Caribbean. 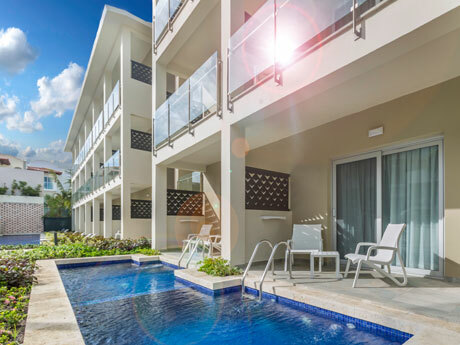 Relax and have fun at the Catalonia Royal La Romana hotel, surrounded by one of the loveliest beaches in the country, Playa de Bayahibe, where you can chill out, play sport, hit the night life. 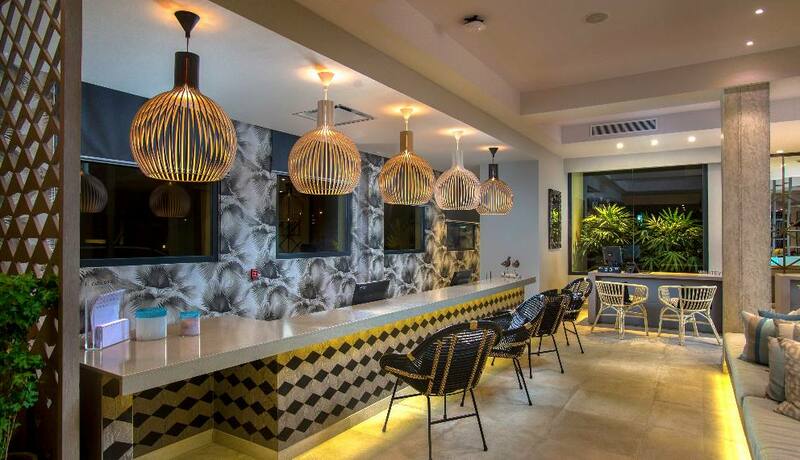 We have a wealth of facilities, such as a dedicated beach for guests, a pool with loungers and a wet bar, a pool with a jacuzzi, a chillout zone and a spa, plus a variety of restaurants and bars to choose from and, for more adventurous guests, an excursion service. Enjoy the beautiful sunsets from our tropical gardens and the activities we’ve prepared for you! 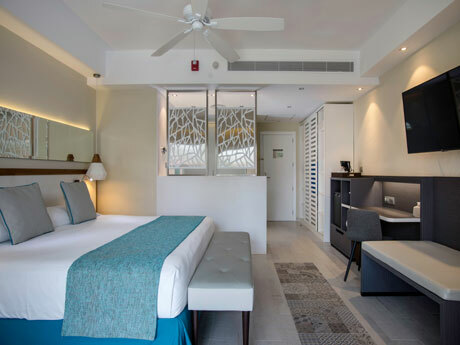 The Catalonia Royal La Romana resort has 117 spacious and welcoming rooms fully equipped with free wifi, a pillow menu, a minibar stocked with soft drinks, beer and snacks, a coffee machine and 24-hour room service so you can spend as long as you like in your room. And if your big day is coming up, hold your wedding here and honeymoon with us. We have amazing facilities and a highly qualified team to guarantee you an unforgettable day. 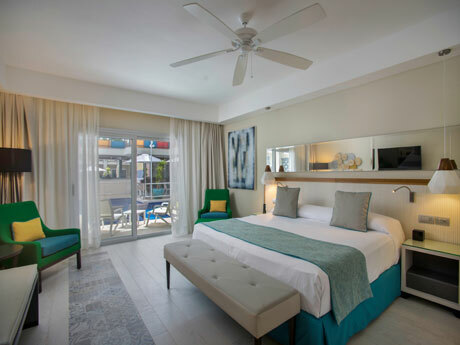 We're waiting to help you make the most of your holidays and enjoy a memorable stay in the Caribbean. Come and have the time of your life! 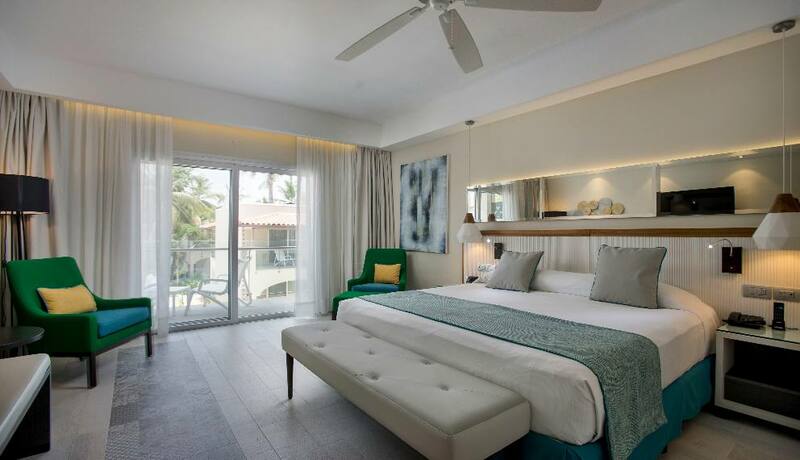 This comfortable and modern room has a king size bed and a furnished balcony. It shows an ideal contrast between tropical style, elegance and comfort. 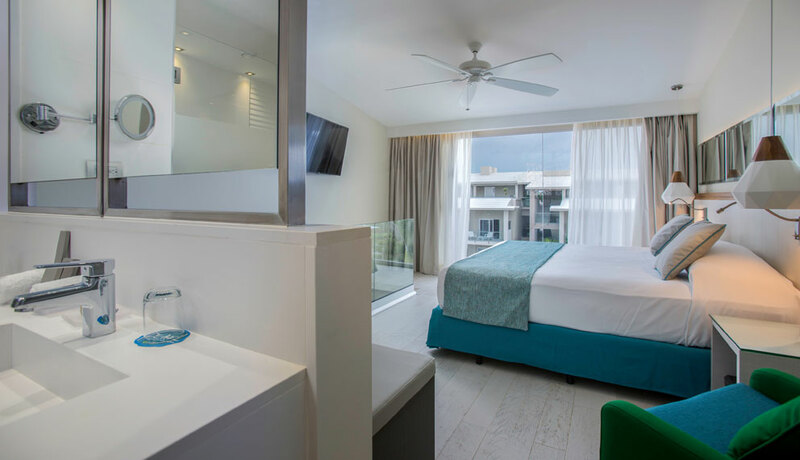 Superior junior suite room with king size bed and living room, in addition to the basic amenities. 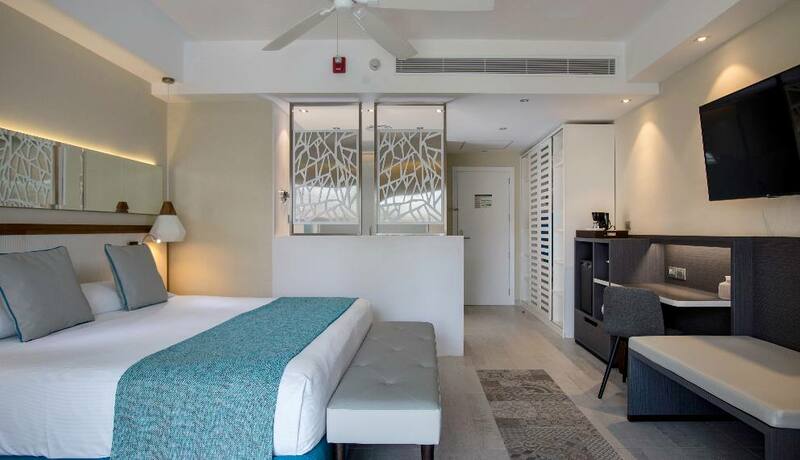 Experience the Caribbean with charm and elegance in our spacious Deluxe Junior Suite rooms. They have a living room, a large balcony if 12 m2 and King Size bed. 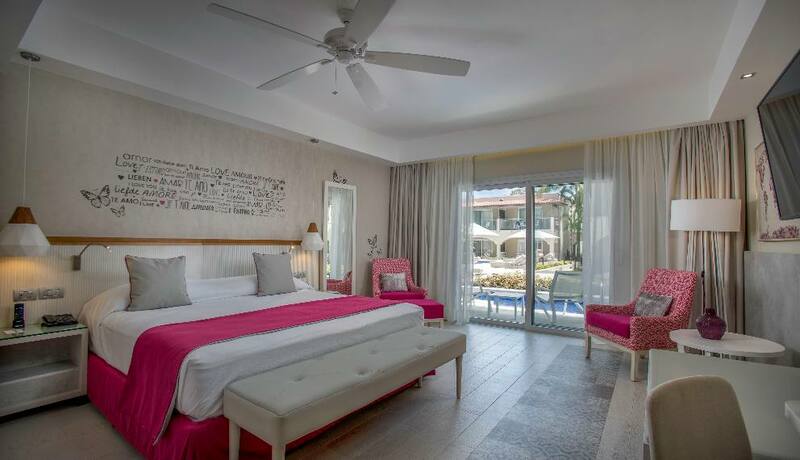 The Romance Deluxe Swim Up rooms on the ground floor are specially decorated for honeymooners, with a furnished terrace of 8 m2 and exclusive access direct to the pool. 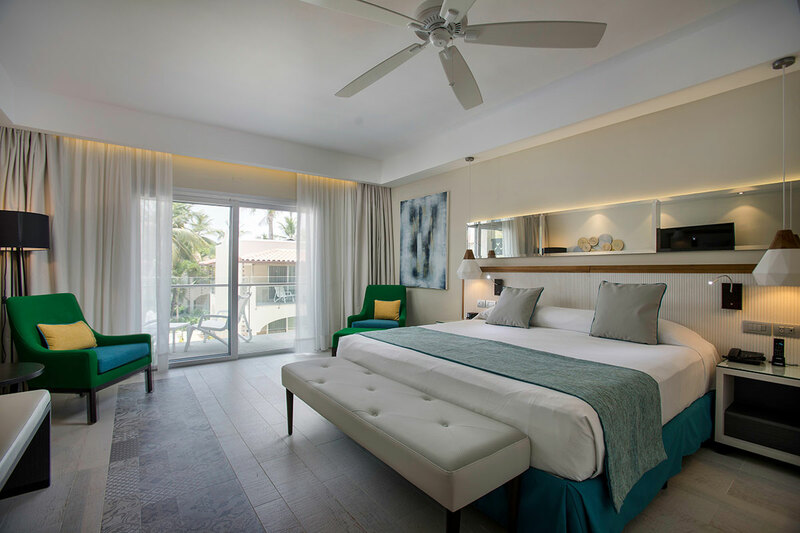 The spacious Suite Duplex & Swimming Pool rooms have two floors. 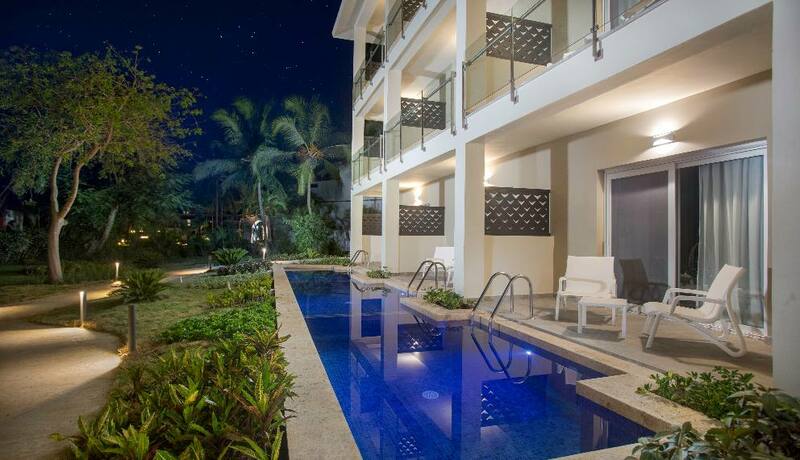 On the 1st floor is the lounge and a furnished terrace with private pool. Upstairs is the bedroom with a full bathroom. 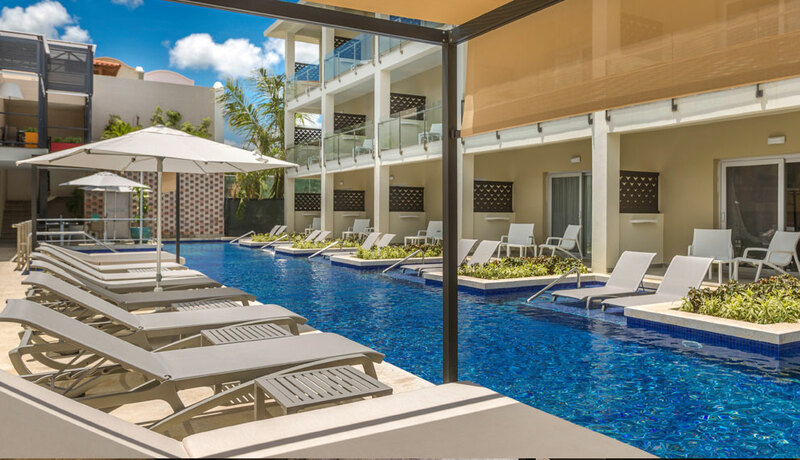 The Superior Swim Up rooms are located on the ground floor, with furnished terrace access exclusive and direct to the pool. All have a king size bed. 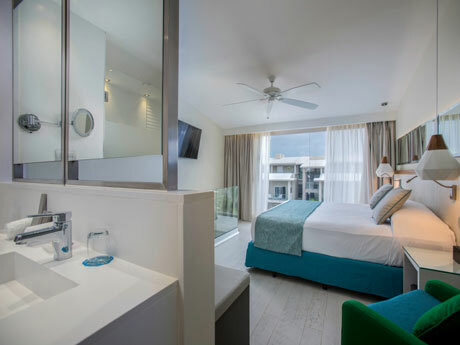 The Superior Junior Suite Swim Up rooms are located on the ground floor, with its own living room, furnished terrace and exclusive access to the pool. 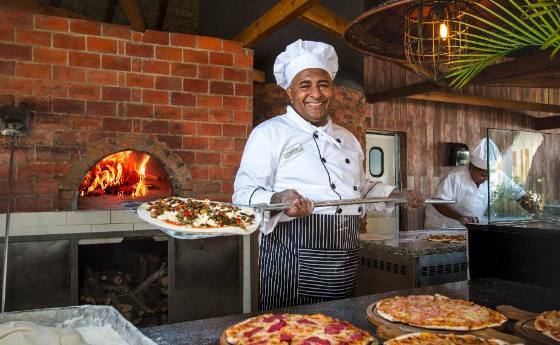 The restaurant combines delicious Mediterranean food with a buffet breakfast and lunch and à la carte dinner service. Located in the reception area with views to the pool, it has an outdoor terrace where you can enjoy the lovely weather while you have breakfast. To enjoy delicious Peruvian cuisine. Above the snack bar next to the pool. À la carte dinner and covered outdoor terrace. 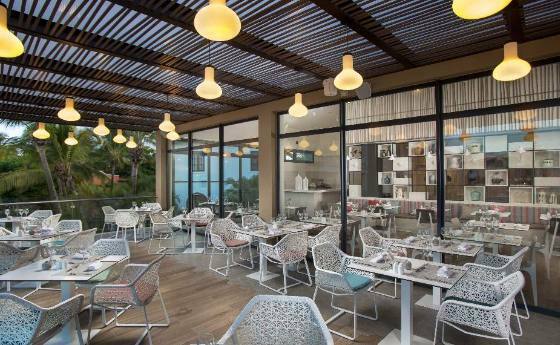 Covered outdoor restaurant with an exquisite blend of Southeast Asian gastronomy. À la carte dinners. To enjoy delicious Italian food. 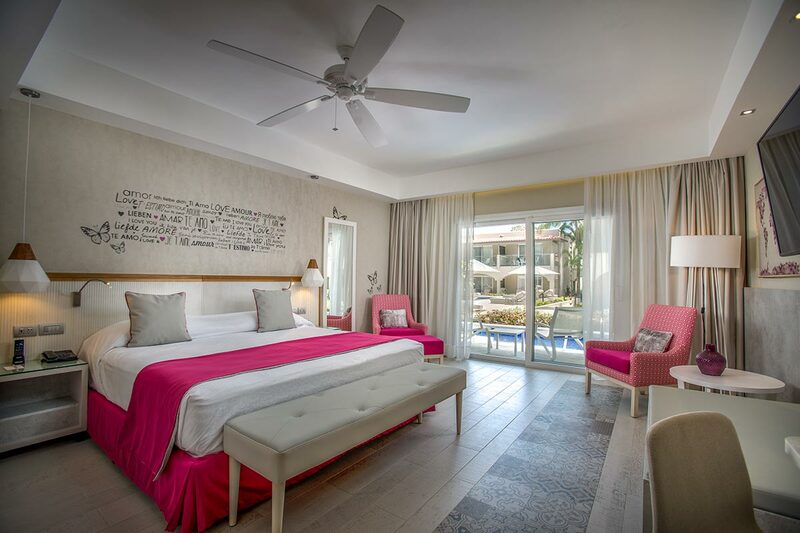 Located on the beach in the area of the Hotel Catalonia Gran Dominicus, near the Bloved and with a space reserved for clients of the Catalonia Royal La Romana. Dress code: long pants and shoe closed for dinner and informal during the day. 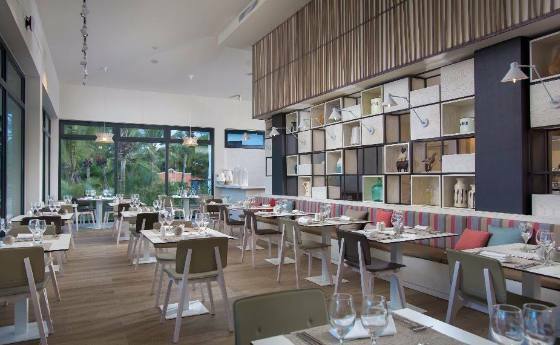 A place where the atmosphere, the food and the service mix to create a totally organic restaurant experience. Our menu presents an eclectic mix. 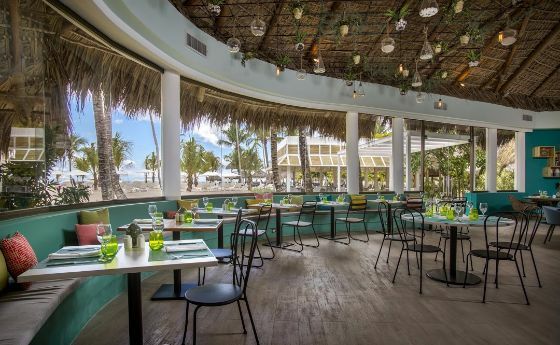 When you want to make a break between sun and beach, head to La Isla Snack Bar and order the delights we have for you. 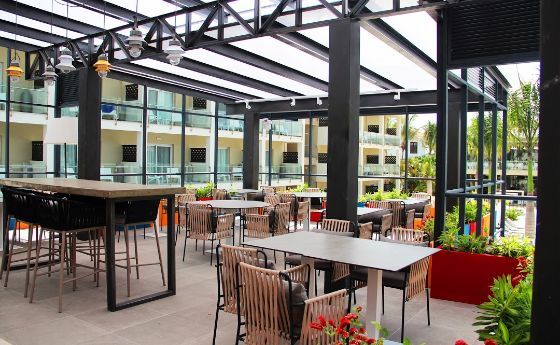 With air-conditioning and a covered outdoor terrace. Organic food, located on the beach. Breakfast, lunch and dinner service à la carte. 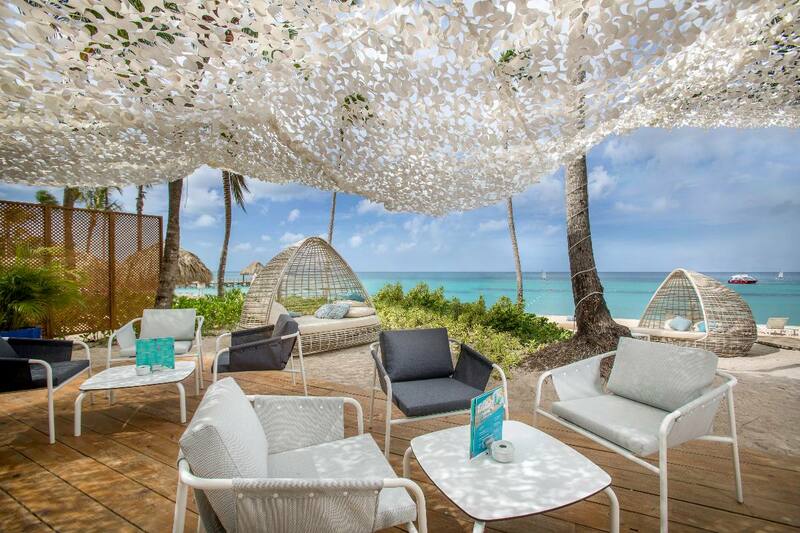 The Beach Bar is on the beach and serves drinks and sushi. 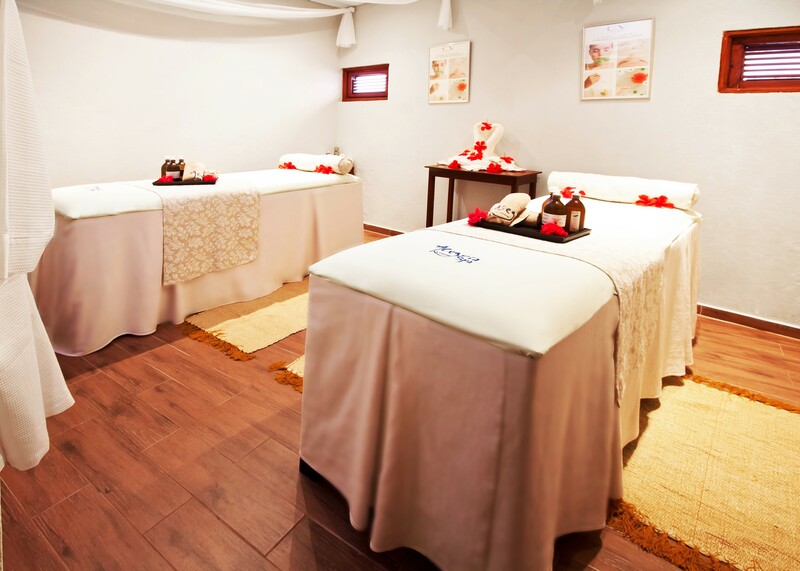 Clear your mind, conscious your body and revitalize your soul in our Alegria Spa. This space is a complete in! Massages Massage treatments, now on the beach too. Fancy a dip in the pool? This is the perfect hotel! 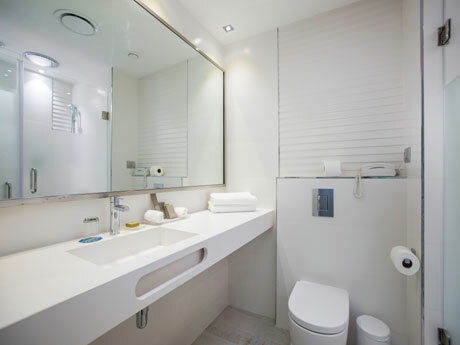 What do other users think of the Catalonia Royal La Romana - Adults Only? Excelent food, beach, animation and drinks. Facilities were great and room was very cozzy. Positive: - Food in general was excelent - Animation staff and events were great. Negative: - Some staff have trouble or missinformed customers. Simply excellent!!! For sure I will be back!!! The most beautifull room I have satyed. Very nice personnel. 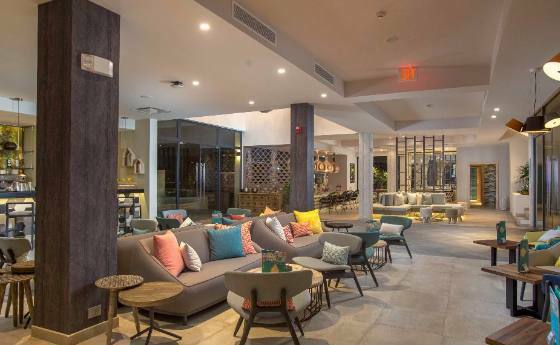 If the name of the credit card supplied when booking at the Catalonia Royal La Romana hotel does not coincide with the name of the guest, please contact the hotel in advance. An identity check and valid credit card are required to check in. Once the booking has been made, the hotel will contact guests to organise advance pre-payment. The hotel reserves the right to pre-authorise the credit card prior to the entry date. The Catalonia Royal La Romana hotel has a free dedicated car park. Booking not necessary. Our Privileged guests enjoy the benefits of the All Inclusive service in addition to these exclusive advantages described in the Privileged All inclusive Pack: Privileged distinction, 10% Discount on massages or any treatment in our Alegria Spa (Non-combinable with any promotional package) previous reservation. 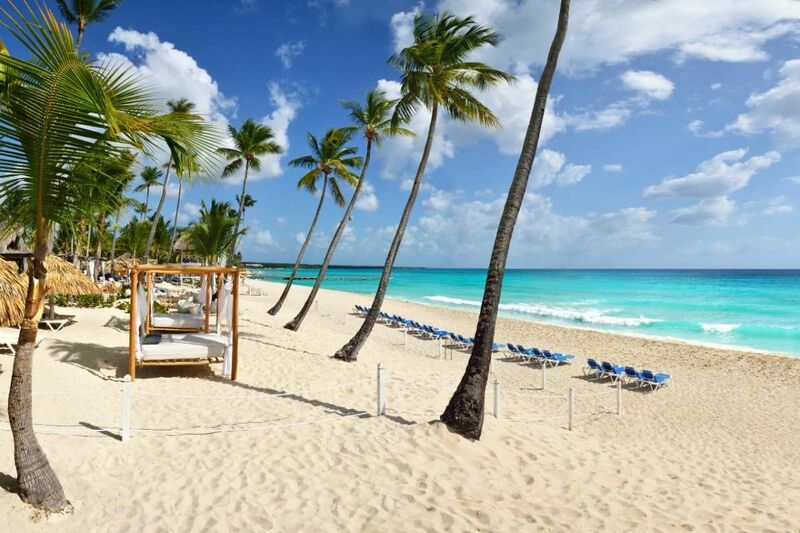 One access to the wet area of the Alegria Spa (subject to availability), Private Privileged beach area with Balinese beds located at Catalonia Bavaro Beach, Access to the Pure Bar including Selected Premium brands, exclusive for Privileged guests, Preferential and unlimited access to all restaurants at Catalonia Royal Bávaro and Catalonia Bávaro Beach, Golf & Casino Resort, In room beach towel, 10% discount in all extra services (Golf, romantic dinner, shops ang boutiques, etc), Early check-in & Late check-out (3pm), subject to availability. Privileged Romance Swim up guests staying more than 4 nights also get the following services in addition to Privileged advantages: Room with romantic decoration, Welcome Amenity with: fruit, a bottle of sparkling wine and chocolate (please note the arrival time upon reservation), Romantic dinner (one per stay; location may change), Couple massage - 30 minutes. 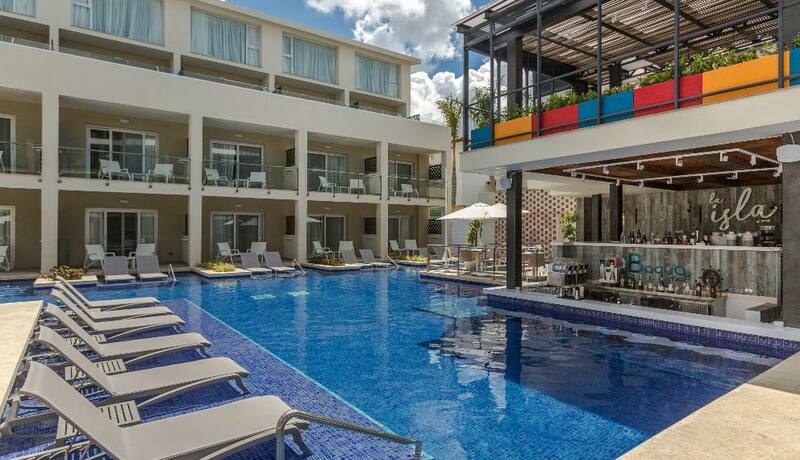 The Catalonia La Romana (Adults Only) Hotel enjoys an excellent location from where you can easily visit La Romana. 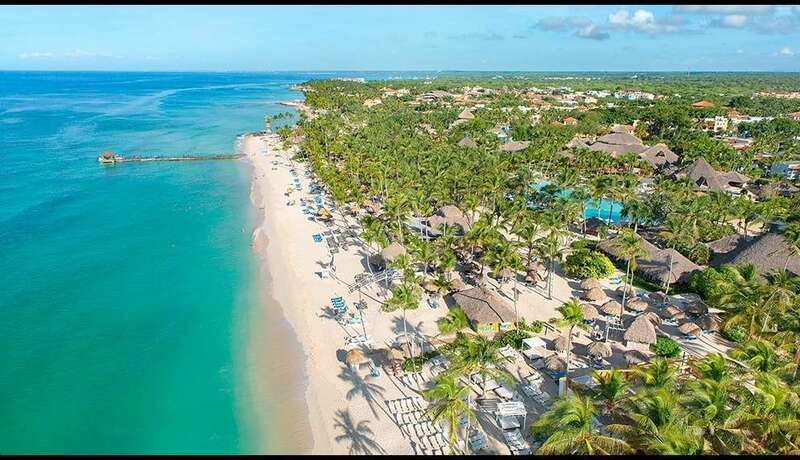 These are some of the most famous landmarks in Bayahibe, but don't forget other important tourist sites such as Isla Catalina or Altos de Chavon. 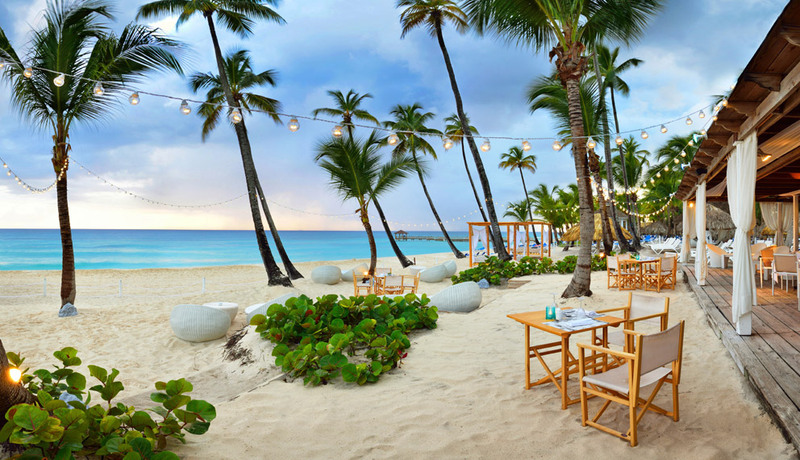 In addition to the Catalonia La Romana (Adults Only) Hotel, you may be interested in other hotels for weddings in the Caribbean, hotels with a golf course in the Caribbean or beach hotels in the Caribbean. Or if you prefer, Catalonia Hotels & Resorts has fantastic hotels with a pool, hotels with a spa and hotels for events.